Feeling Blue? I hope so, it is going to be the color for July. I got a couple more triangles done yesterday. I really like this teal one. The diagonal lines are nice, and it isn't too fussy. This yellow one wasn't so bad. I lost one of the sections in the trash can, but it turned up again. 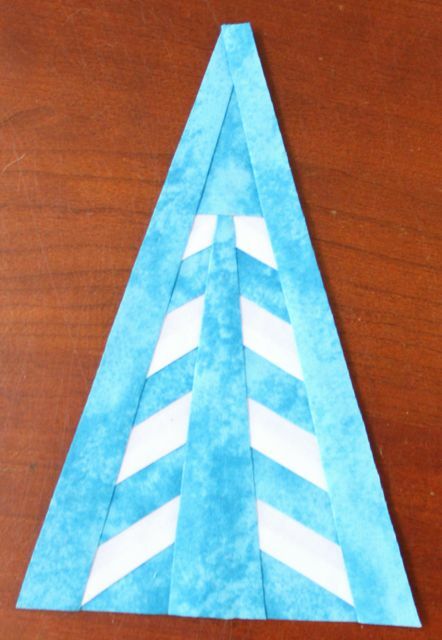 Lots of triangles, but they weren't too strangely angled. I'm making excellent progress on the top row. It looks like I just need three more blocks to finish it off. That shouldn't be too hard to accomplish. I say that before looking at the blocks of course, but optimism is a virtue. And here is the progress on my color swatch map. Getting closer every day! Sydney is going to a mall in Orlando with one of her friends. Anna wants to go shoe shopping. Ryan even asked for a trip to the store to buy supplies for his birthday party tomorrow. Sounds like I busy summer day. I guess I'd better get a move on. 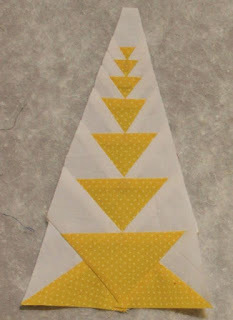 I got a few more pieces put together on the EPP triangle. My points are still having some issues, but practice makes better I suppose. 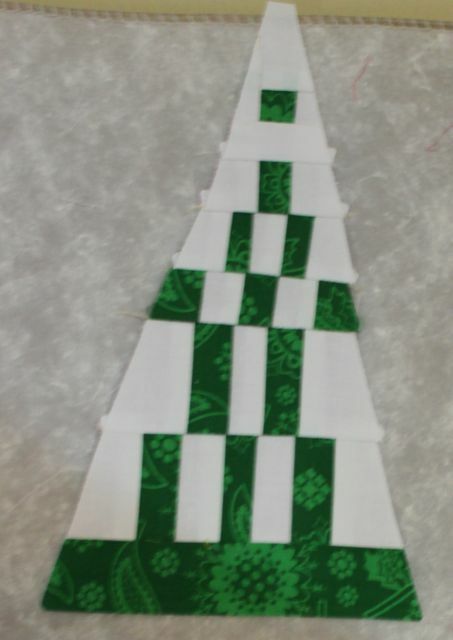 This green triangle was paper pieced. It seems a bit wonky in the picture. I'm pretty sure it is OK in real life. It was paper pieced in 6 sections. 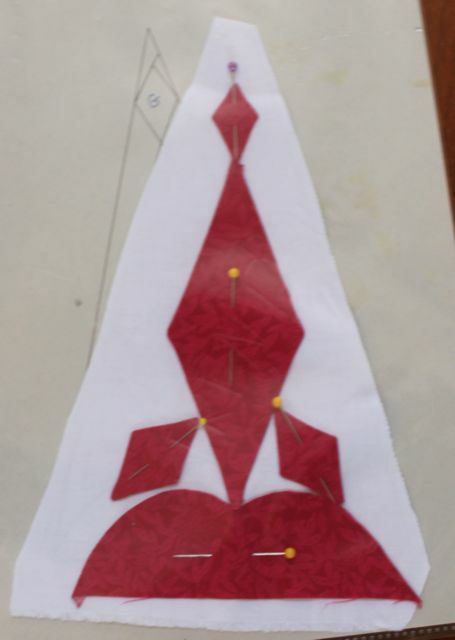 This appliqué block is all prepped and ready for hand stitching. Not a bad day's work all in all. I think I am going to the dentist tomorrow, but other than that, it should be another nice calm day. Those are the best kind of days after all. Eventually I'll have to start accomplishing real life things again, but for now, this is so much more fun. It has been oh so long since Dear Jane saw any action. I thought that yellow should get a little progress before the end of the yellow month. The middle of the quilt is completely done. All that is left now are the triangles. This is number three on the bottom row. 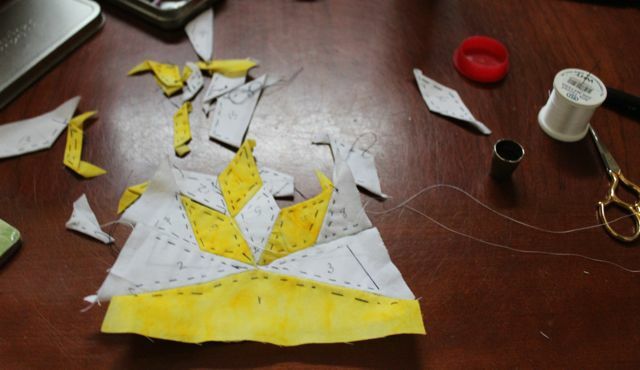 It was paper pieced in three easy sections. Then came number 10 on the bottom row. 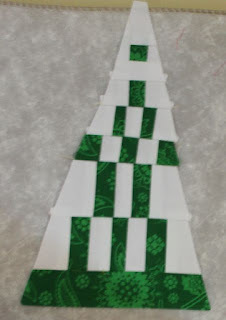 I had paper piecing patterns already printed, but they didn't seem to want to come together without inset seams. Instead, I thought it would be fun to try English Paper piecing. Look how much fun! Just a few more pieces and then I will try to take out all the paper. So much fun to have a home day! Technically, there is almost a week left in the yellow month, but next Saturday will be the first of July, which will mean a new color. 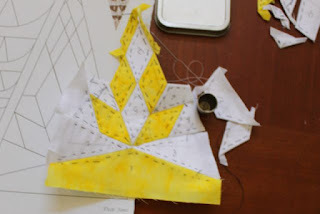 That gives you a few more days to finish off your yellow scraps. My yellow circles are almost done. 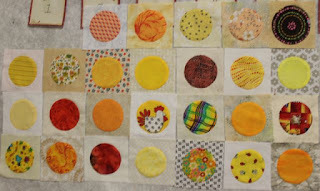 Hopefully I'll find some more yellow scraps to play with before June ends though. It feels oh so good to be home again, but wow do I need a vacation! After spending 8 hours each day grading AP essays, I thought it would be so relaxing to be home again. Somehow, instead of getting back home to chill, I have switched into high gear. Monday was laundry and unpacking, Tuesday I shampooed all the carpets, Yesterday was the scrubbing of the tile. Today was meeting with a roofer about a leak and getting a cracked windshield repaired. On the up side though, the house is sparkling clean, and I will feel no guilt about spending some time sewing. I just have to put everything back together in the sewing room first. 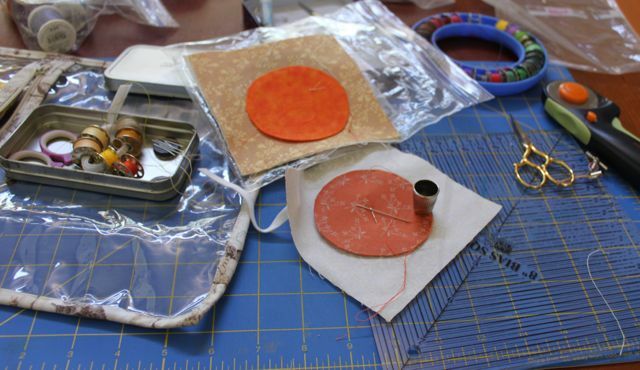 There was plenty of time in airports and hotel rooms to stitch away at circles. August is done, and September is well under way. I can see a the end of this project starting to appear. Not that I want to rush it of course, but it is a little bit embarrassing to be almost a year behind on a block of the day quilt. Hope that all is still bright and cheery for you all. I'm scheduled to be back soon from my trip. I'm sure it is all going wonderfully and that many circles have been sewn. I'll be sure to let you all know when I return. 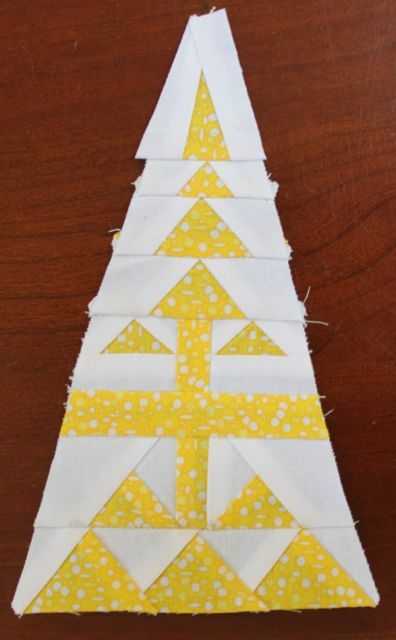 Until then, make sure to share your yellow scrap creations. Still having lot of fun with yellow I hope. My yellow will be on the road this week. I am scheduling this post ahead of time. By the time it goes live I will be off to Kansas City for the AP Biology Reading. All the AP subjects have these giant meetings over the summer when teachers and professors get together to grade all the essays from the exam. This will be my first year to participate. 6 days of reading essays for 8 hours! Wish me luck. I'll go ahead and schedule today's linky party and next weeks as well. Don't be surprised if I am not in contact much, but I'll look forward to catching up when I am back again. Until then, there are plenty of yellow circles ready to be hand stitched on the airplane and in my hotel room. I'm guessing that after all that essay reading, my book won't get much of a workout. I've had more energy to stitch in the evenings since school ended. Funny how not having a job opens up so much more free time! 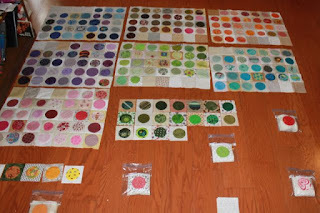 It seemed like a good idea to take stock on Leap Year and figure out just how much more stitching was left. 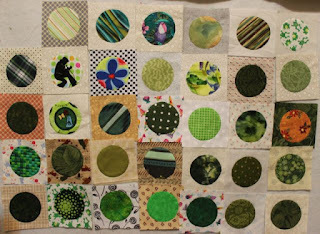 Leap Year was a daily quilt along from 2016, so finishing it up sooner rather than later seems like a good idea. So I started with January, February, March and April. They were already finished and stitched together. 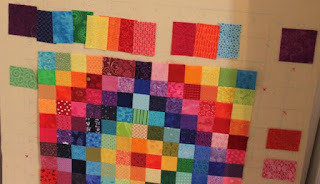 May, June and July had all the blocks done, but they just needed to be sewn together. That was easy enough. I had to look back at a calendar of course and remember how many days in each month and which day was the first. May was actually a bit tricky, with 31 days and the first on a weekend, it tried to stretch into 6 weeks. I think I'll just add the first onto the last day of April to keep everything symmetrical. 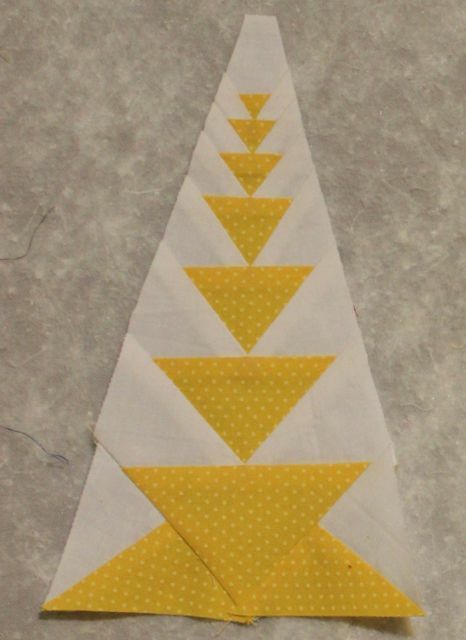 Symmetry is nice in quilts after all. 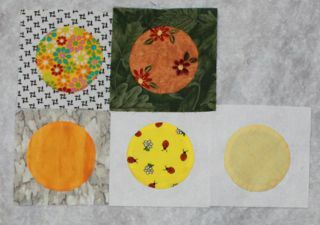 After that I found that all of the circles were cut out, and most of them had already been prepped with spray starch and a gathering stitch. I sorted through the rest, cut out some more background squares and now have everything all ready so that they just need the final hand stitching. That will be perfect for rainy Florida afternoons and evening movies with the kids. Before I get too carried away with stitching though, I'm off to see what other slow stitching people have going on at Kathy's Quilts. I'm starting to enjoy the mellow pace of summer vacation. The evenings have been spent watching movies with the kids and stitching away at last year's daily circle project. Yellow has a bit of a start now, and green and pink are ready to be sewn together. I'll try to get that done in time for slow stitching tomorrow. Until then though, I'm sure there is lots of yellow lurking in the bins ready to come out and play. It is starting to feel like summer around here. Now that June has arrived, it is time to put the greens away and start playing with Yellow! I know that yellow can be a tricky color, but a little bit does a lot to brighten up a quilt. Come back on Saturday to see what yellow scraps have come out to play.